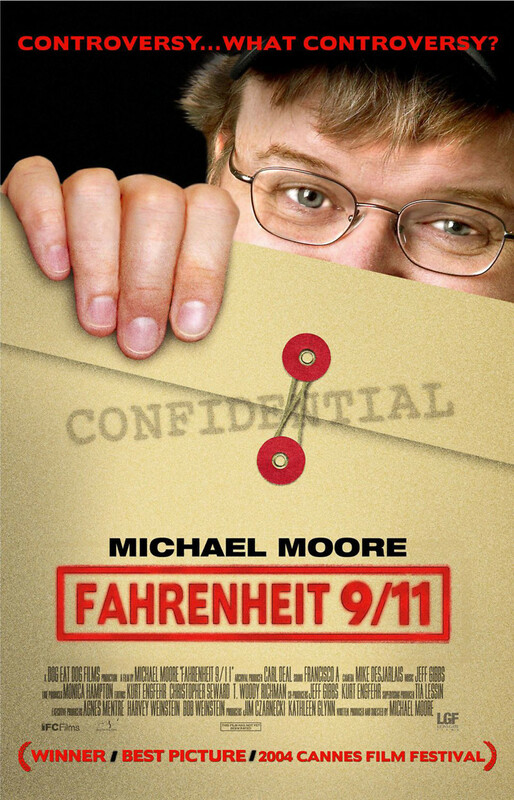 Fahrenheit 9/11 is Michael Moore's latest foray into the "documentary" realm of film making. Quick to cash in on tragedy, Moore again dons his "everyman" ball cap to crank out a "screenplay" in his blue collar penthouse apartment. The film does everything it can to use the tragic events of September 11th, 2001 to insult the Bush family and stops just short of accusing then-president George W. Bush of orchestrating the attacks himself. The film is less about 9/11 than it is about Michael Moore's desperate attempts to keep himself in the media spotlight. If you want a good laugh, you'd be better served with the even more outlandish and stillborn "documentaries" you can find online about the Jewish conspiracy to blow up the Twin Towers for insurance money.